Chinese New Year, also known as the Spring Festival, is the most important traditional festival and a public holiday in China. 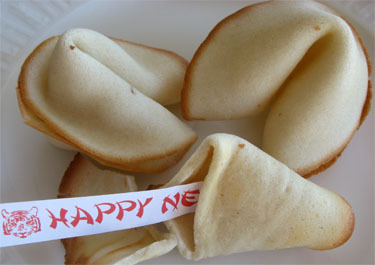 The Chinese New Year 2012 starts in January 22 (Chinese New Year' Eve). It is the year of dragon. 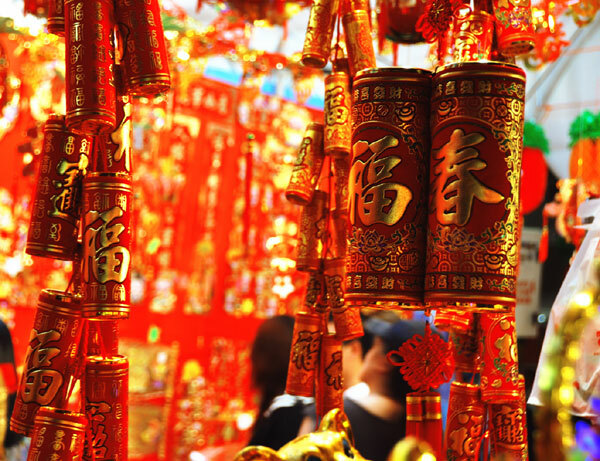 The festival falls on the first day of the first Chinese month (usually in late January and early February), and ends with Lantern Festival which is on the 15th day. 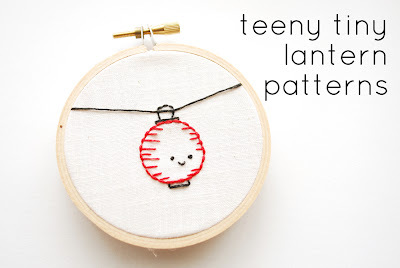 So in celebration of the Chinese New Year, here are some cool DIY art projects you can do to celebrate! 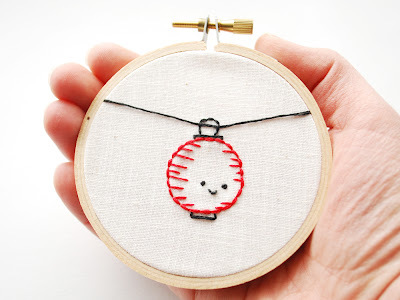 so let's start with this super cute Chinese lantern needlework embroidery. 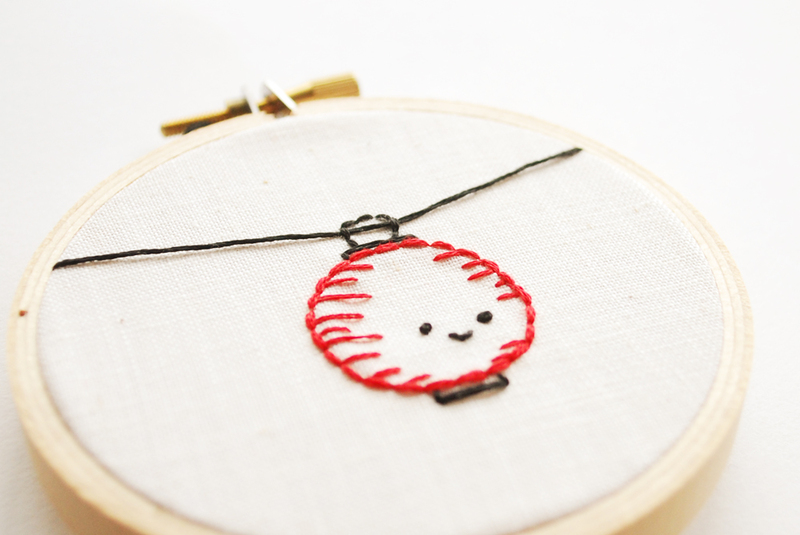 This super cute motif can be done on handkerchief, t-shirts or on anything to add a little cutesiness Asian style as a gift for someone or for yourself. 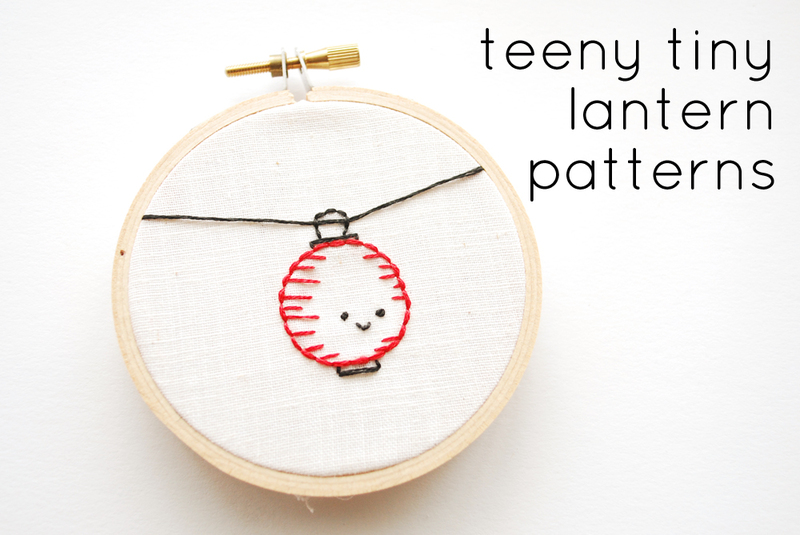 The designer "Mollie" of this cute embroidery has drawn up 3 more lantern style for us in a PDF file, you can download it and place it on any fabric and stitch away! 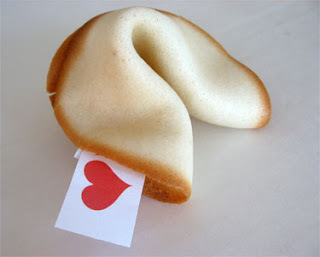 Also, if love those yummy fortune cookies, then here is a recipe courtesy by Cindy Hopper. Set oven to 400F degrees. (1) Place egg whites in a bowl and beat with electric mixer on medium speed until very frothy, almost soft peaks. 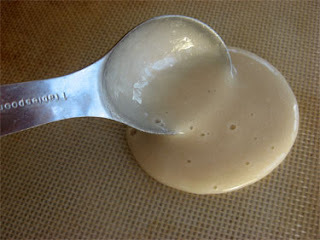 (3) Add sugar, almond, and vanilla then mix. 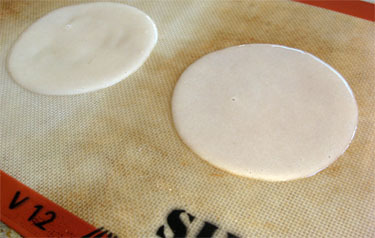 (4) Stir in 2 tablespoons of water to thin batter. 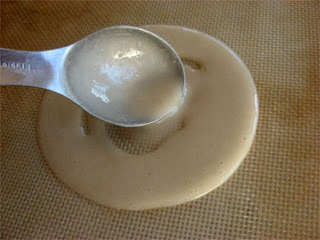 (6) Working from the center in a circular motion, spread the batter into a 5 inch circle. (7) Start with two cookies. Once comfortable with the process more can be baked at one time. I was only able to ever bake two at a time. I used two pans and staggered the baking time so I had time to form the cookies. 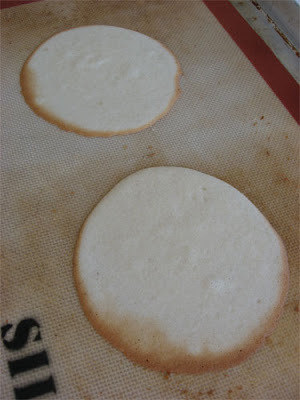 Bake until edges are lightly browned. Mine baked for 6 minutes. Start watching closely at 4 minutes. 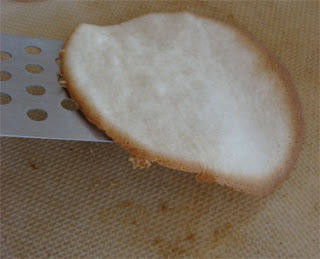 (9) Working quickly, remove cookie from pan with a very thin spatula. 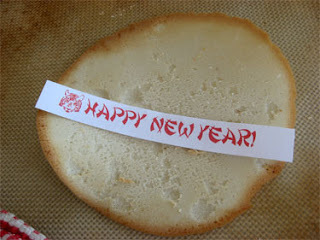 (10) Flip the cookie over and place slip of paper on top. (11) Bring sides up and pinch together. 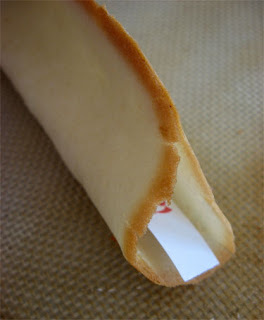 (12) Next bend cookie over the edge of a cup. 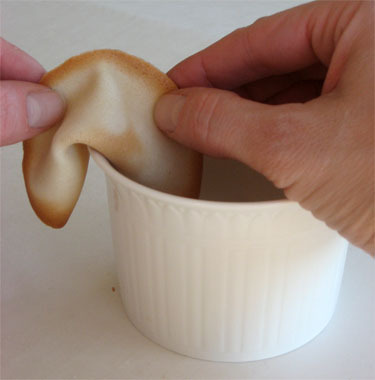 The whole process of forming the cookie should take about 10 seconds. Once formed place cookies in a muffin tin to help them keep their shape while cooling. 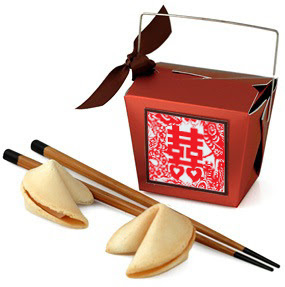 Fortune Cookie Box and you have a sweet way to celebrate! We hope you enjoy blog posting and celebrate the Chinese new year with your friends and family! 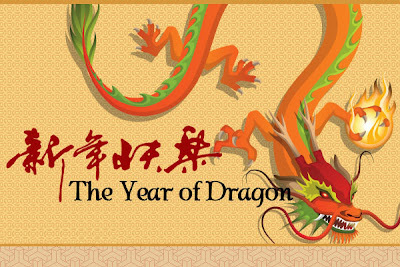 Happy Chinese New Year of the Dragon! 恭賀新禧 !